Every year, countless new visitors experience the charm and excitement of Arizona, one of the most unique and beautiful states in the country. Filled with dramatic desert landscapes and blessed with year-round sunshine, Arizona is a destination that continues to appeal to visitors from around the globe. Home to the majestic Grand Canyon, Arizona is a bucket list destination for many travelers, but it's also home to lively cities like Phoenix and Scottsdale. 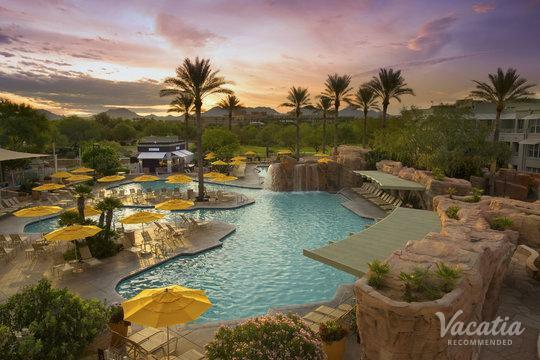 When you start planning your next trip to either Phoenix or Scottsdale, you should work with Vacatia to book your stay at one of the best four star resorts in Phoenix. Vacatia provides an impressive selection of quality vacation rentals for travelers, so you're sure to find a vacation rental that meets your needs and wishes in no time thanks to Vacatia. Don't waste hours sifting through all of the four star hotels Scottsdale or Phoenix have to offer, because Vacatia can help you quickly and easily find a quality vacation rental. So be sure to make the most of your time in Arizona by booking your accommodations through Vacatia. Phoenix and Scottsdale are known for their great selection of outdoor activities, sunny weather, and exceptional dining and shopping, which is why so many people visit these Arizona cities every year. Whether you are looking to escape the cold months of winter or want to experience some sunshine and warmth in the spring, you should rely on Vacatia to help you find your ideal Arizona vacation rental. 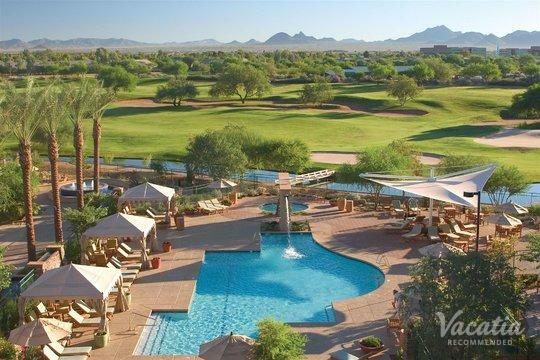 Vacatia can help book your stay at one of the best four star resorts in Scottsdale, where you will have access to your own fully equipped kitchen and added living area, as well as the desired services of a resort. Vacatia's resort residences provide so much more than a standard hotel could provide, which is why you should take advantage of the opportunity to book your Arizona accommodations through Vacatia. Rather than staying at one of the four star hotels Phoenix has, you could stay in a spacious, comfortable resort residence when you work with Vacatia. Whether you're in need of some outdoor activities or of some rest and relaxation, Arizona has just the thing for you. Phoenix and Scottsdale are both home to numerous outdoor activities, from golf and tennis to hikes and bike trails. After you've enjoyed the Arizona sunshine, you can head to one of the many world-class spas or top-rated restaurants in the area to pamper yourself. From the famed Camelback Mountain in Phoenix to the legendary TPC Scottsdale golf course, there is plenty to do and experience in Arizona. To make your Arizona getaway one to remember, be sure to book your Phoenix and Scottsdale vacation rentals through Vacatia. When you stay in a comfortable Vacatia resort residence, you'll feel right at home in this sunny desert paradise, so you're sure to leave Arizona with lasting memories.